This apartment is located on the 1st floor and has a balcony with views of the Gaislachkogl mountain. It has 2 bedrooms and 2 bathrooms. This apartment is located on the ground floor. Windows are set somewhat higher than average. No extra beds are available in this apartment. 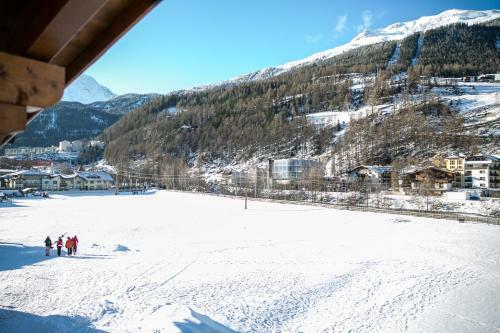 Appartement Hemmi offers a quiet location close to the centre of Sölden, a 5-minute walk from the Gaislachkogelbahn cable car. It features a sauna and an infrared cabin. The sauna is accessible free of charge on Mondays and Wednesdays. The apartments feature a kitchen, a seating area, cable TV, and a bathroom with hairdryer. On request, bread rolls can be delivered each morning. The centre of Sölden, with its many bars, shops and restaurants, can be reached in an 8-minute walk from Appartement Hemmi. From late May to mid-October, the Ötztal Premium Card is included in the rate. This card offers many free benefits and discounts, including free use of local cable cars and buses.